It’s great to have Clint following up this way. I am watching TW very closely. 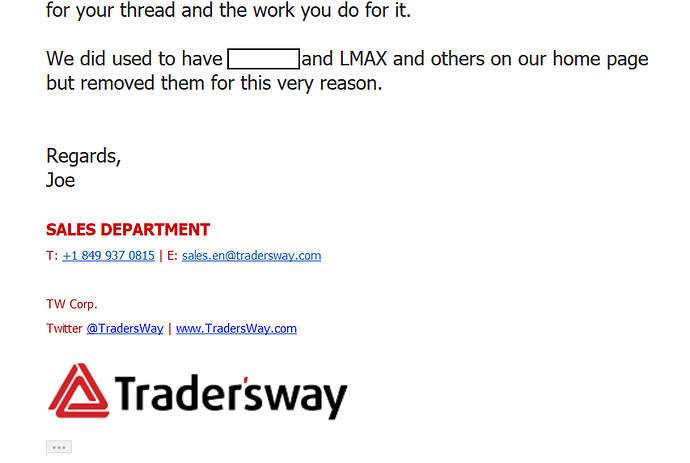 That said, I think we traders shouldn’t act too entitled. We are in business relationships with our brokers. They do their best, we do our best. We should be self-interested – that’s healthy – but not quick to judge and demand things of each other. I want freedom to trade the way I want but I understand that certain realities get in the way of me doing that 100% of the time. 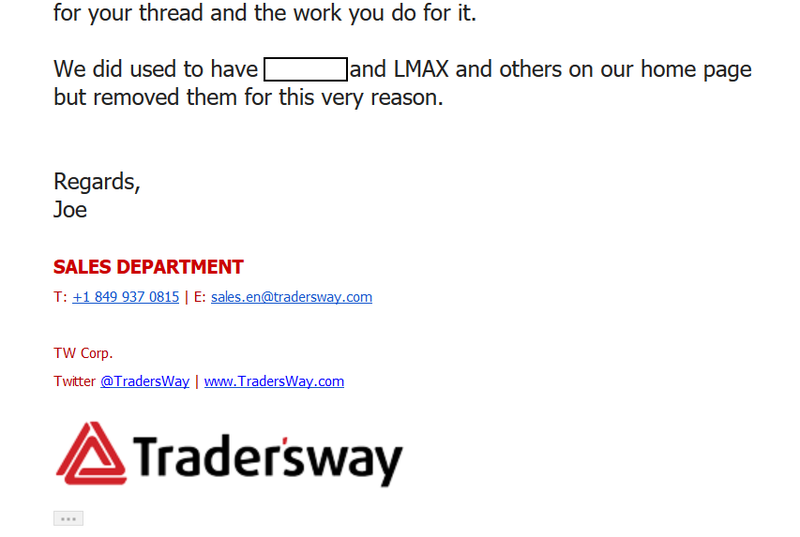 If I find a reason to distrust a broker, I’ll be clear and detailed about why that is. 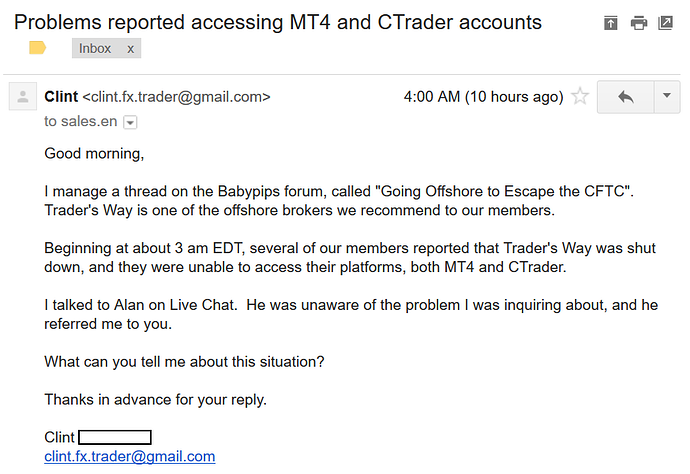 I think these particular “technical issues” are reason enough to not trust any broker, and I don’t care who it is or what they offer or what their track-record was in the past. I don’t believe for one second that the MT4 broker server would ever pass through rouge-data from a single LP when the aggregate bridge feed is showing better quotes (assuming they use more than one LP). 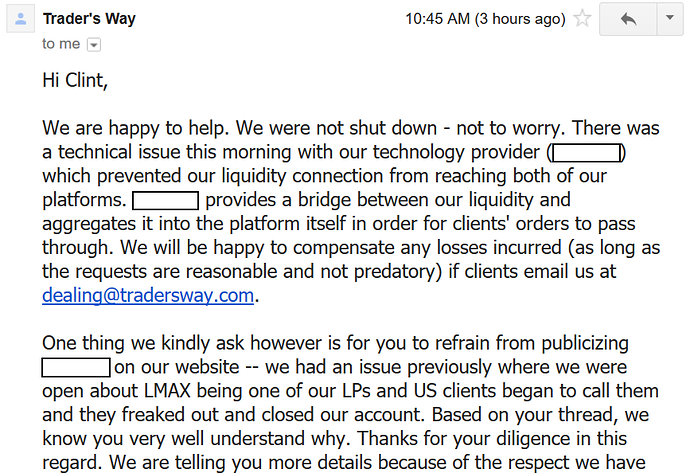 One giant red-flag is that no other ECN broker suffered the same tech-issue from this “LP”. This means they’re either lying about their capabilities, lying about the nature of their technical issue, or they were only using a single (and exclusive) LP. Any one of those things is grounds for broker-divorce. The good news is they have fixed this issue. The bad news is I recall when IcMarkets had the same issue it was repeating for weeks before they finally fisx it. 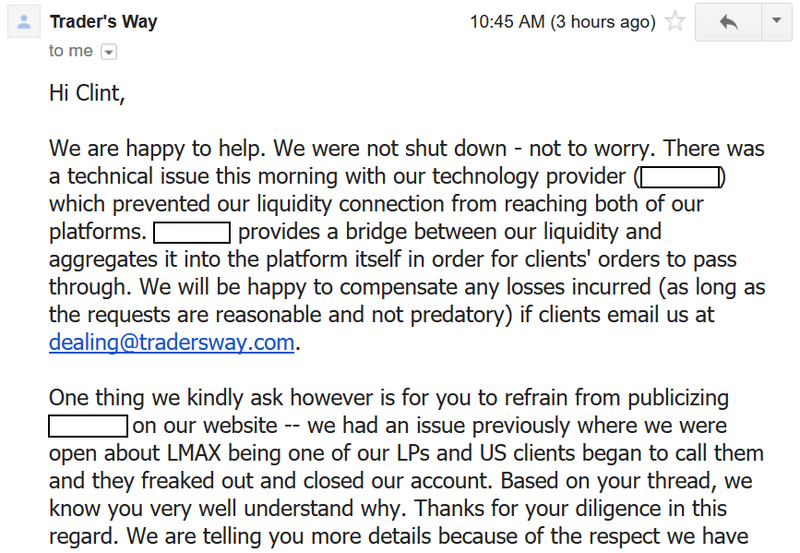 A friend told me this am he was refunded by TW the amount lost during that slippage/outage. I was in a small counter position (and asleep) at the time, so there was no loss for me. Careful with offshore accounts. OECD and AEoI are crackign down on them. 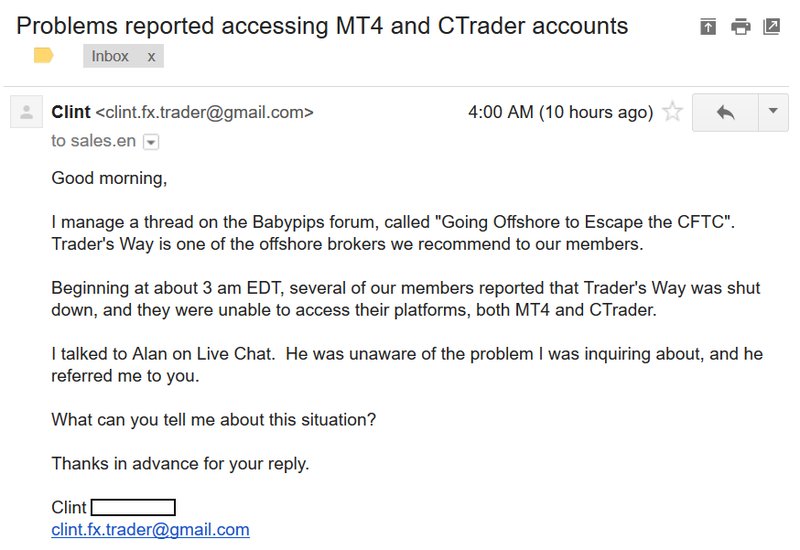 Well, as others have remarked, FinProTrading.com ECN Forex is about the best we U.S. persons have access to… However, I believe that their low commissions are likely due to using a small set of liquidity providers, maybe one such provider; and this is OK by me, EXCEPT that during the 21:00 - 23:00 time slot GMT they have ridiculously wide spreads. This is the Sydney session prior to Tokyo, I believe… On many of the oddball pairs like GBP/NZD and others in that category; we get 10, 20, 30 PIPs SPREADS Bid/Ask !!! So that’s a no-go no-trade-time-period for us. But outside those hours, spreads are great, and their is no broker that can match their low commissions and detailed nature of their data feed. So I don’t fully understand why spreads are so wide during lower liquidity conditions; and attribute it to a single or small number of liquidity providers. I am quite sure that other brokers, such as Tradersway who aggregate more LP’s (maybe) would be showing narrower spreads during those time periods. I could come up with the actual data on this (since I do log it), and if I have time I will post it; BUT I want to make it clear that FinProTrading.com is an exceptional broker and my personal favorite of those which are accessible to us U.S. persons ! [EDIT] appending a log of spreads during critical times here.